Earlier this week a twelve year old became the teacher and I was very much the student. It wasn’t a typical situation where a younger person is helping out a not-as-young person with Snapchat, dabbing or explaining what the running man challenge* is. Dabbing – just sneeze into your elbow and you’re doing it! There we were, enjoying a typical class discussion about the difference between equity and equality. The discussion had shifted to how we could create pieces of writing to teach younger kids about this. A few kids were uncertain about where to go or what to do. As a class, an early belief we established with writing is that brainstorming and planning is the key part, so it isn’t strange to see one or two kids sitting around during sessions or simply sitting on their own having a think. “That’s it, I’m just going to start writing something so I’m not behind“. Wow. That’s a new mantra right there. Like most mantras and life lessons, the power is in the simplicity. There is a real power in planning – or failing to plan – with regards to nearly every aspect of our lives. Grocery shopping? Don’t even think about wandering in there without a list…or if you’re hungry (I’m still apologising to my wife for the last time that happened). Completing an essay? Good luck if you haven’t thought about what you are going to do or the order it will be placed in. Driving to visit your parents this afternoon? Don’t even think about considering what the traffic may be doing. Just go your usual route and enjoy tearing apart your steering wheel and vocal chords. When we plan for upcoming events or actions we reduce uncertainty**. Planning helps us take into account possible uncertainties, reduce stress and get that overall feeling of life being a good place. If we want to get technical (and we secretly love getting technical) we can thank the chemical dopamine for the greatness of planning and goal setting****. Every time we are able to cross an item off a “To Do List” we get a shot of dopamine¹. Our brain is trained to feed off dopamine as well as seek it out. Goal setting, and planning out the steps to achieve that goal, are simple, natural ways for us to get that natural hit and feel that natural high. Writing about, and promoting, why planning is important is one thing, but being able to plan effectively is whole other ball park. I don’t know about you, but if I’m going to invest my time in something I’d prefer to be somewhat prepared. Whilst studying to be a teacher, we were all taught and expected to use an incredibly simple and powerful way to plan and guide units and projects for our unsuspecting kids. The fancy, education-speak title for this approach is Backwards Design², Backward by Design or Understanding By Design³. Backwards Design helps you to not only work out WHAT you want, but HOW you will get there. In education circles, teachers**, curriculum leaders, principals, deputy principals and system overlords have been frothing at their figurative mouths (and literal in some unfortunate cases) over Backward Design. Our aim is to get you figuratively frothing too – we’re going to do a quick planning session to give you insight into how simple Backwards Design can be used in any situation. Let’s find a part of our personal or professional life that is driving you crazy or feels like it is out of control. 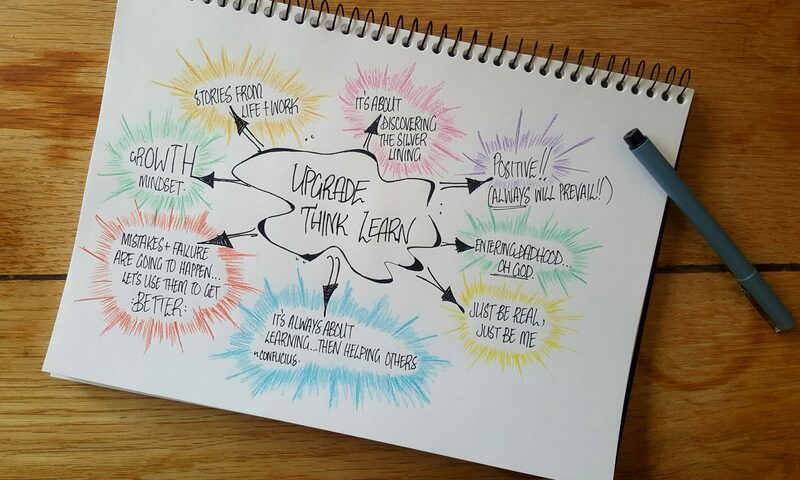 Work out what it is you want to change or upgrade. Here’s my current dilemma: My dog is continually eating chocolate, resulting in me doing the odd midnight run to the vet to watch him vomit, sleep for a few hours, then try to eat his vomit (the dog, not me!). This is not good before a full day of teaching. Now it’s time to keep working backwards to find people, skills or behaviours that could be used to help keep on track and assess our progress. Really consider the little and big successes…that way they can be celebrated as they are achieved AND help us stay focused. For me, I could speak with a vet and friends with dogs (who aren’t crazy) to get ideas or suggestions. I could also read up on strategies from trustworthy sites… this isn’t 1998 anymore, so ask.com won’t cut it. Okay, I’ve worked out some resources I could use to help me, but how will I know if I’ve actually stopped the dog eating chocolate? Well, my main evidence is that the dog is still his usual energetic self, jumping around in the evening…as opposed to the other situation where he simultaneously stares at me while vomiting apologetically. Yep, that would probably be evidence of eating chocolate. Finally, think about worthwhile activities or experiences that will help you build up those skills and behaviours to reach your end point. Remember, the word worthwhile in italics for a reason. Don’t do pointless things…they’ll only keep you busy and not actually help you. For me, I’ve actually started a pretty simply skill – hanging my gym bag up on a coat rack to reduce temptation for the dog. I also check there isn’t dark chocolate left around our coffee tables for him to help himself while we’re asleep. Oh, and checking the dog is alive each morning. Consistency and follow through is crucial. Particularly if your goal involves keeping things alive. The key is to plan and place things in order that will collectively add up to help you reach your end result in the strongest and best way. This is important, otherwise you may have to do it all over again, and I don’t know about you, but I’ve seen enough dog vomit for quite a while. What’s the end result you’re aiming for? Well, this is the end of this week’s upgrade…sorry to break it to you. Take some time to share our post with friends, family, the people out of the front of your house or even your lovely local barista. We love hearing from you all too, so let us know what you think by writing a comment, sending us an email or telling us what you think on our Facebook page! *No idea what we are talking about? No stress at all! Check out our Further Upgrades and enjoy the our video compilation! **The tricky part with uncertainty is that no matter what you pretty much can’t have anything certain. Whilst you reduce uncertainty, there is still uncertainty, so things can go pear-shaped regardless of your planning. Hey, at least you reduced uncertainty – imagine if you had never done that! ***Let’s be honest, majority of teachers probably have enough on their plates to get excited over this…well excited enough to write a blog post on it.